GarageBuy is a free app primarily targeted at collectors and power-buyers on eBay. With GarageBuy you set up your eBay searches once. It will keep track of your searches and can also synchronize them to your other iOS devices. 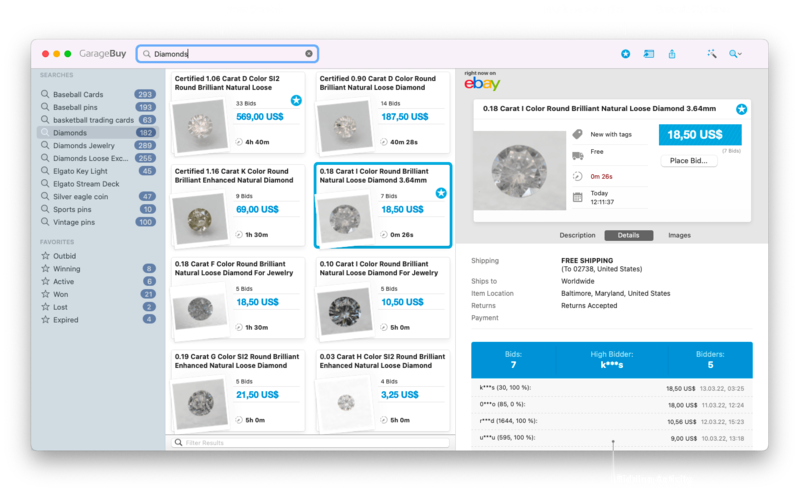 It will also synchronize the list of items you already looked at, so you can focus on new items exclusively, no matter if you are on your Mac, iPad or iPhone. That's really smart, isn't it. Don't look at uninteresting listings twice. 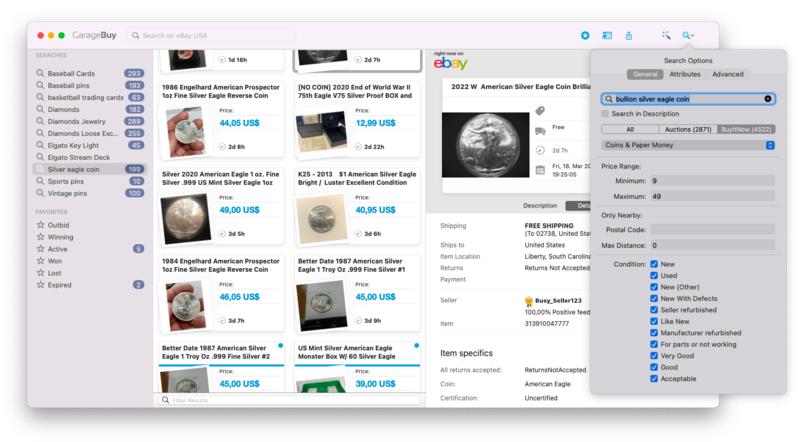 GarageBuy lets you stay on top of your eBay searches by remembering which items you already viewed. GarageBuy synchronizes your searches, favorites and viewed items between your Mac and iOS devices through iCloud. Thanks to GarageBuy's push notifications feature you'll get notified when a listing ends or if you've been outbid. GarageBuy is multi-account ready and supports multiple eBay sites, like eBay US, Canada, Germany and the UK. Happy bidding all around the world! 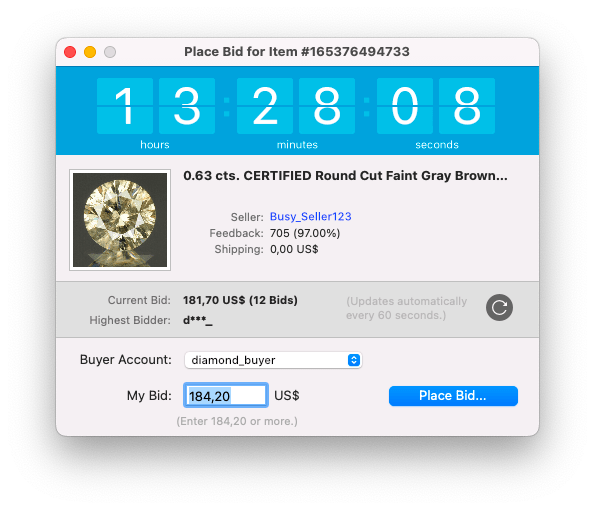 It shows all item details including item specifics, bidding activity, read status and images. Add items to your favorites, share them, place bids or buy items right from within GarageBuy. Easily place a bid from within GarageBuy. The bid panel provides you with a big countdown display. Download and use it at no cost.